We have had reports that this software is invasive - please read the comments below before deciding to download it. 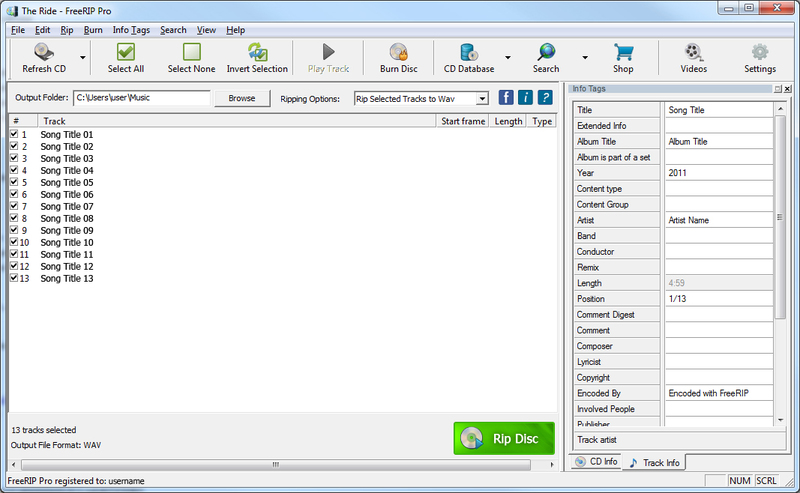 FreeRIP is a application that lets you save audio CD tracks to Wav, MP3, WMA, Ogg Vorbis or FLAC audio files. FreeRIP is also a audio file and mp3 converter and it can convert audio files from one of the named formats to another. Posted by Annoyed on Wed, 11/17/2010 - 21:23. It also sets bing as your homepage. As if... F*** off mother f***ers. Posted by Annoyed on Wed, 11/17/2010 - 21:18. This software automatically installs a Search tool bar and adds Bing to your search engines, at least in Firefox. Also wanted to restart after installation, which tells me it's f***ing with my registry. Uninstalled and not used.